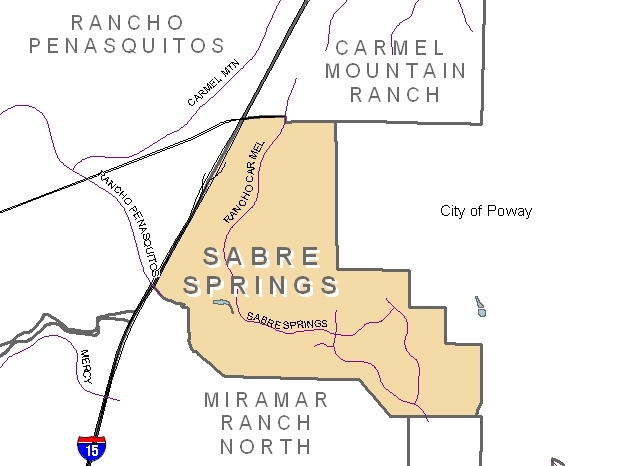 Sabre Springs is located off Interstate 15 near Carmel Mountain, Rancho Penasquitos, and Scripps Ranch. Residential development in this area started in the 1980's. Sabre Springs is home to a business park as well as several outdoor parks and two trails which run through Sabre Springs. Do you live in Sabre Springs? If you have a bathroom that needs remodeled, please give us a call for a free estimate.